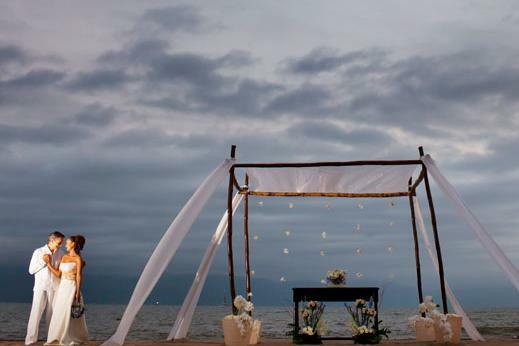 Puerto Vallarta, Mexico (February 3, 2016) - Couples tying the knot at Mexico’s four “Beyond All-Inclusive, Beyond All Compare” Velas Resorts in 2016 and 2017 enjoy a variety of new wedding promotions to ring in the new year, such as complimentary ceremonies, suite upgrades, weekday wedding savings and more. Promotions are valid at Puerto Vallarta’s Casa Velas and Velas Vallarta, Riviera Nayarit’s Grand Velas Riviera Nayarit, and Riviera Maya’s Grand Velas Riviera Maya. The weekday wedding special at Grand Velas Riviera Nayarit and Casa Velas requires a booking of 10 rooms for a minimum of two nights. The wedding promotion at Grand Velas Riviera Maya requires a booking of 10 rooms with a minimum of two nights. 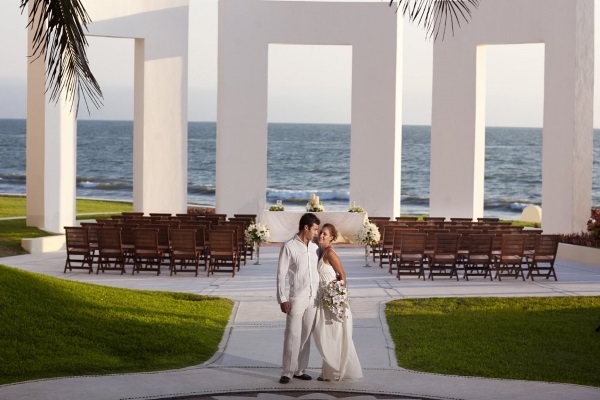 The gratis wedding at Velas Vallarta requires a booking of 30 double suites for a minimum of two nights. All promotions are subject to availability. Blackout dates apply. For more information on Velas Resorts Weddings or to make a reservation, please call 1-866-868-0922 or visit www.velasweddings.com. Karisma Hotels & Resorts has launched a new promotion, the Bride & Groom $1,000 Air Credit Promotion. The new package includes the Memorable Moments Signature Wedding Collection, Bride’s Dress Rehearsals, and Romance Rendezvous Experience with Romance Maître. The new promotion also provides a $1,000 air credit for the couple and is valid on new bookings through March 31, 2016 for travel from August 2016 to December 22, 2017. The offer is good at El Dorado Royale, El Dorado Casitas Royale, El Dorado Seaside Suites, El Dorado Maroma, Azul Beach Hotel, Azul Sensatori Hotel and Generations Riviera Maya by Karisma. Agents should know know that the air credit is combinable with GREWPS and includes a 21 percent commission. There is also EBB for groups of 10 rooms or more with a minimum three-night stay. Blackout dates apply. The promo code is 1000. For more information, visit www.karismahotels.com. Grand Velas Riviera Maya now offers a Mayan wedding ceremony for couples interested in authentic wedding experiences on Mexico’s Caribbean coast. The Mayan culture-infused wedding ceremony features sacred blessings from a Shaman, an ocean ritual, a Mayan song and instrument ceremony and more. Clients have the chance to experience Riviera Maya’s oldest spiritual way of life with an intimate and unique ceremony on the beach or amongst the resort’s jungle setting. A highlight of the Mayan ceremony is the Shaman’s blessing and union of the couple’s Tzolkins, the Mayan version of a horoscope calculated using each person’s name and date of birth to determine their individual potential and true vocation. Mayan wedding ceremonies at Grand Velas Riviera Maya start at $450 for two people. The rate does not include hotel stay. Reservations must be made by March 31 and events may be held up to July 30, 2014.